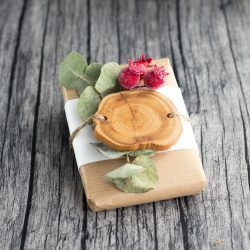 Bomboniere and Wedding favours are a popular tradition for couples to say ‘thank you’ to their guests and create a unique memento to remember the day by. They usually include 5 sugar almonds symbolising health, wealth, happiness, longevity and fertility. Have you been to weddings where you found some awkward key rings with the couple’s names on the table that no body wanted to take home? Now that you are planning your wedding, are you happy to settle for simple sugar almonds? 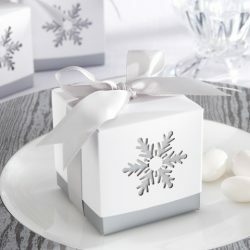 Do you want to spend money on useless gifts that your guests won’t take home? Or are you looking for something a little more interesting and practical? 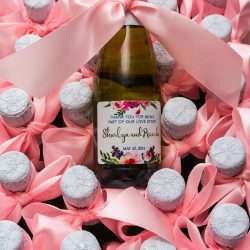 Well, as always Black Avenue Productions has done the homework for you and found 5 uniquely designed wedding favours available in Australia! Flourish Bomboniere is the original and first living bomboniere company that was created in Australia. 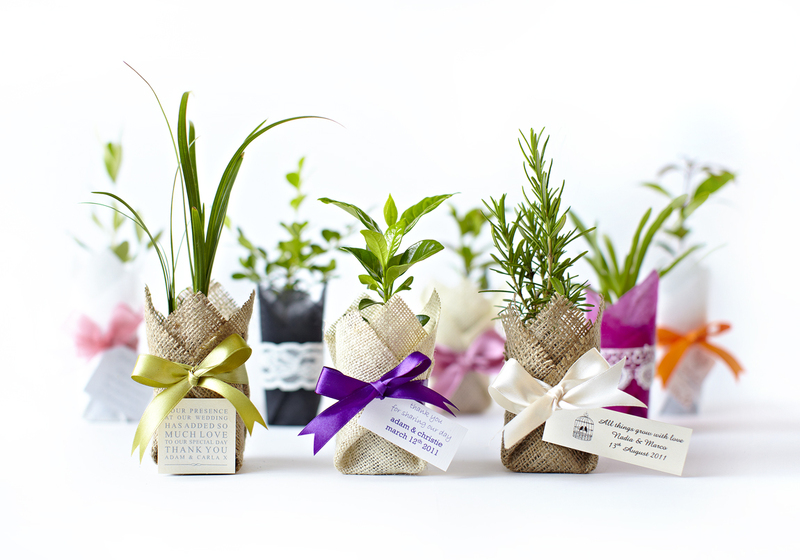 We think customized gift plants are unique, affordable, beautiful and memorable. Guests will continue to talk about your plant for many years and watch it grow as a memory of your day. These cute little plants are hardy to the Australian conditions of heat and frost, won’t over take your garden and are easy to care for and maintain. They can be planted in a pot or garden depending on what size you have available, and can be trimmed to a suitable size. Jack and Annie from Melbourne are passionate about popcorn and created this homemade brand Pop-Bite. They are one of our personal favourites. 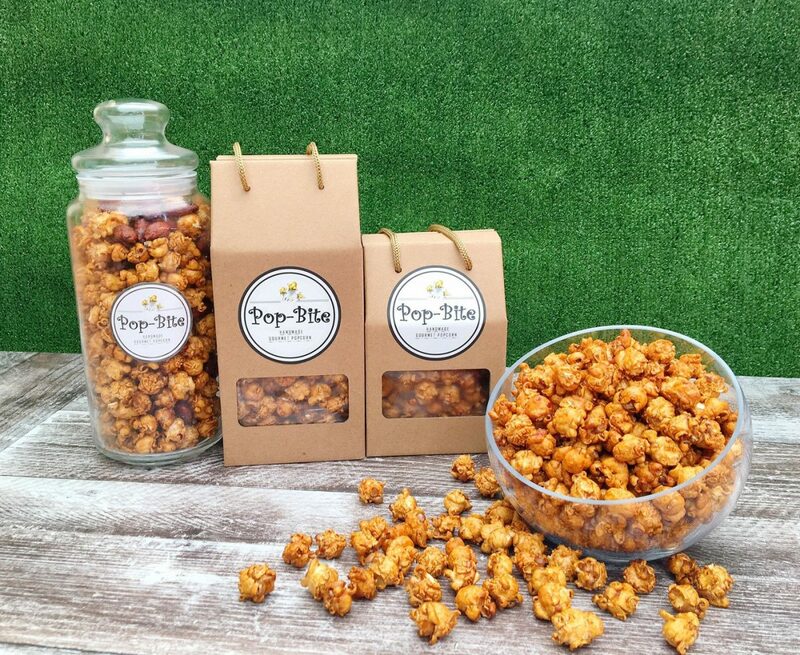 These cute bags of amazingly tasty and carefully crafted caramel popcorn come packaged in charming take away bags and are the perfect simple but popular gift for your friends and family. Guests who are health-conscious will also appreciate this treat that’s made with organic coconut oil and organic coconut sugar. Jump on their website for more prices and products. Looking for a quirky gift for guests at your beach wedding? 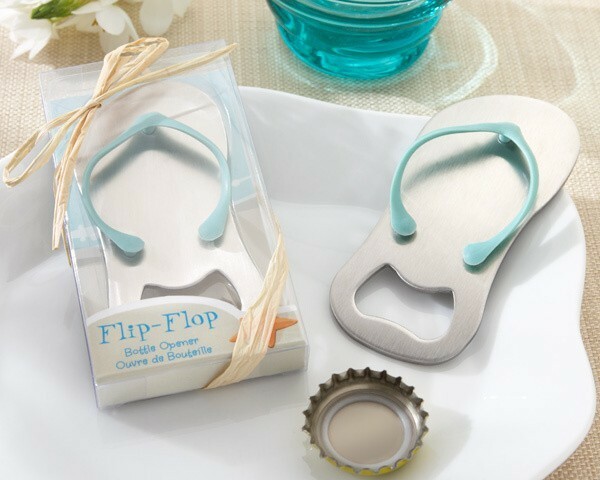 Pop the Top Flip Flop bottle openers are the perfect bomboniere gift to accompany your theme. 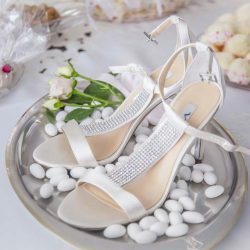 The Pop the Top Flip Flop Bottle Opener in the shape of a cute flip flop or thong is a favour your guests will love to keep, providing long lasting memories of your bridal shower, wedding, or other special events. The mini flip flop is crafted of brushed metal with a turquoise rubber thong. The bottle opener is part of the “heel.” One bottle opener will set you back about $2.35. 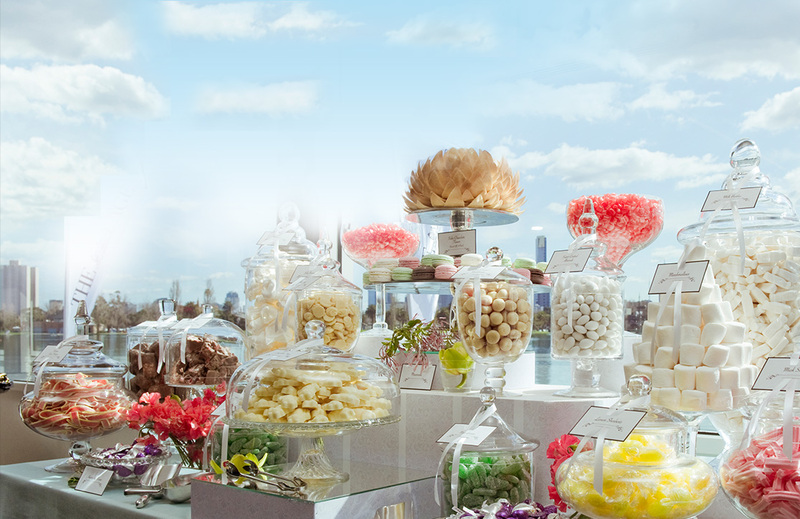 One of the latest trends in weddings that we think is creative and impressive are candy buffets. As a take away, guests who visit this stunning lolly bar can take home glass jars or bomboniere boxes filled with treats, as well as provide snacks like nuts and sugared almonds. 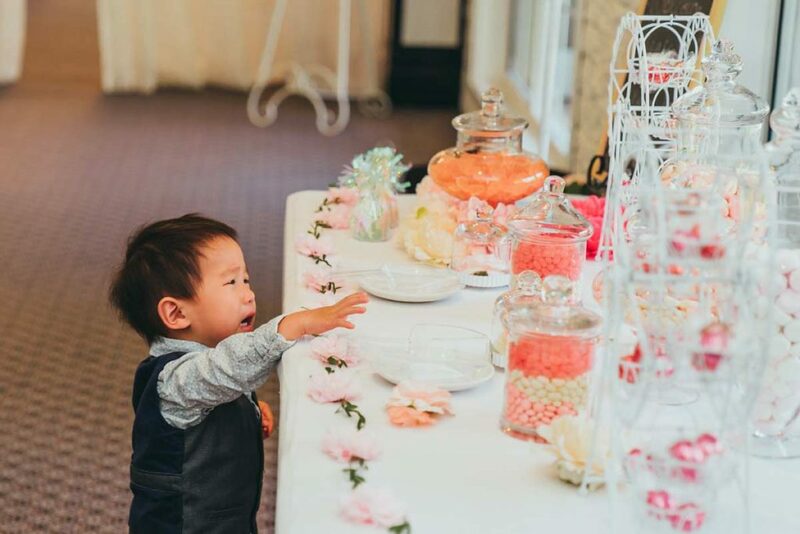 The Candy Buffet Company is also eager to provide a customized and special experience for you and your guests, so don’t hold back on matching your favourite sweets to your wedding’s colour theme. Looking for something for that small select group of VIP guests? Maybe something special just for the groom’s party? 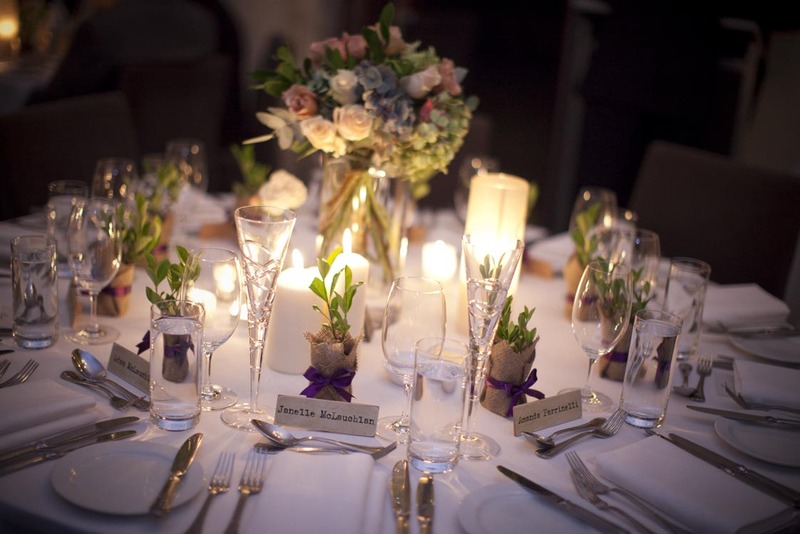 One of our favourite keepsakes for guests, which they will actually use, are personalized engraved glasses. 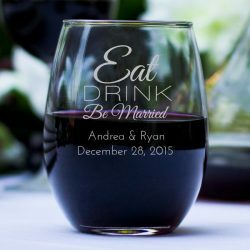 Engraved glasses from Create Your Gift are special because the bride and groom can add their names, wedding date or thank you message etc. 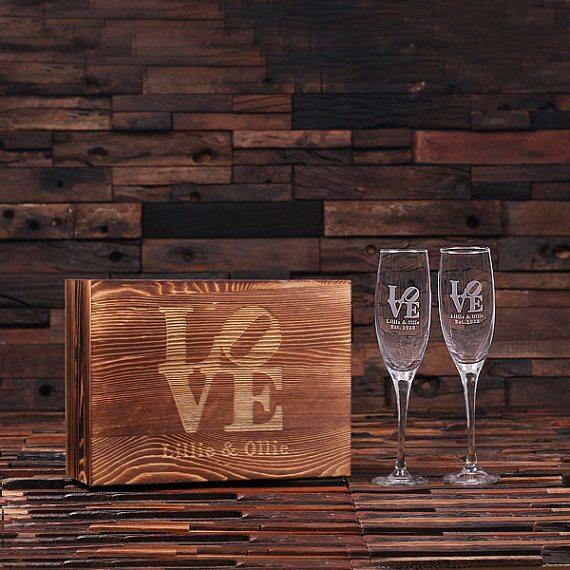 Whether you go with shot glasses, scotch glasses or fancy champagne glasses your guests will receive them a beautifully designed customized wooden box. Pictured: Personalized 2x champagne glass gift set $135. 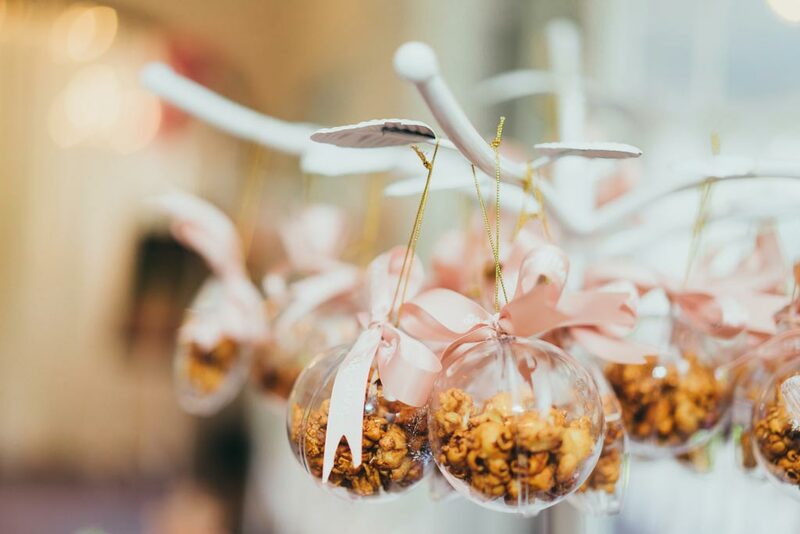 We hope you can find some inspirations for choosing your bomboniere and wedding favours that is actually useful and your guests can remember your day!